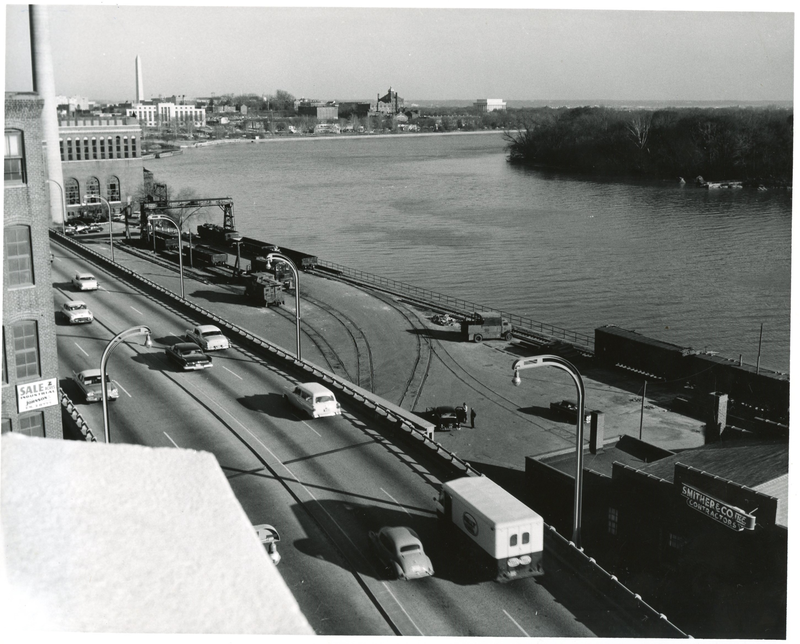 This week for the Georgetown Time Machine, GM visits this photo of a relatively young Whitehurst Freeway. Come check out what interesting scenes it contains. The first question is of dating. The DDOT website does not list a date, so it will take a little sleuthing. First of all, the Whitehurst wasn’t built until 1949, so that’s the earliest point. 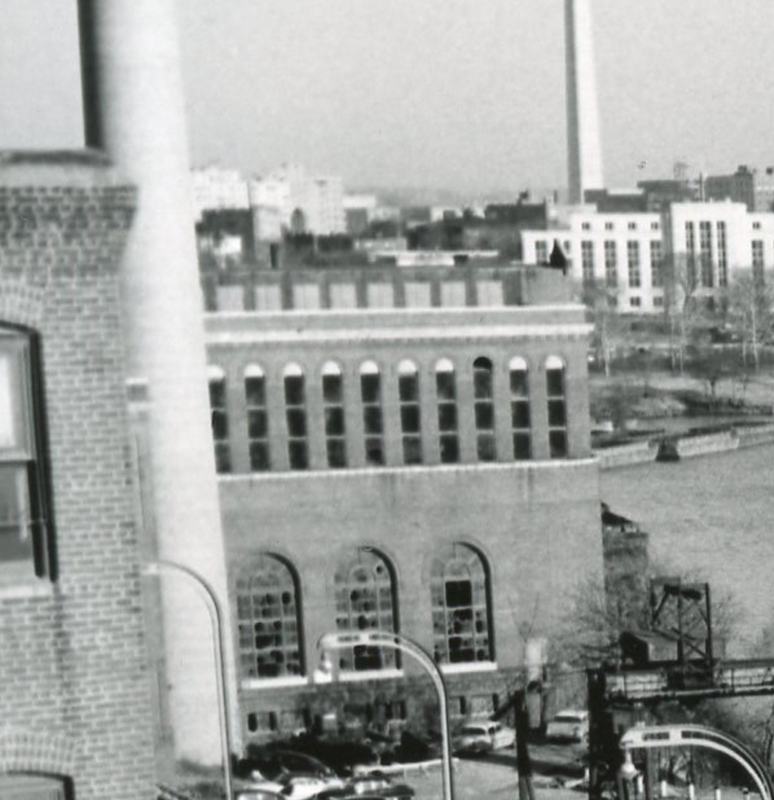 In the distance, as discussed more below, the old Huerich Brewery still stands. 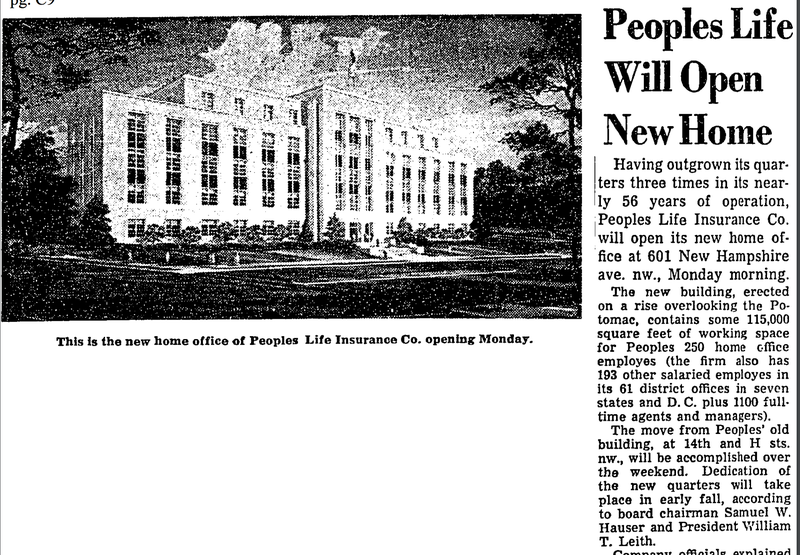 That was demolished in 1961 to make way for the Roosevelt Bridge. 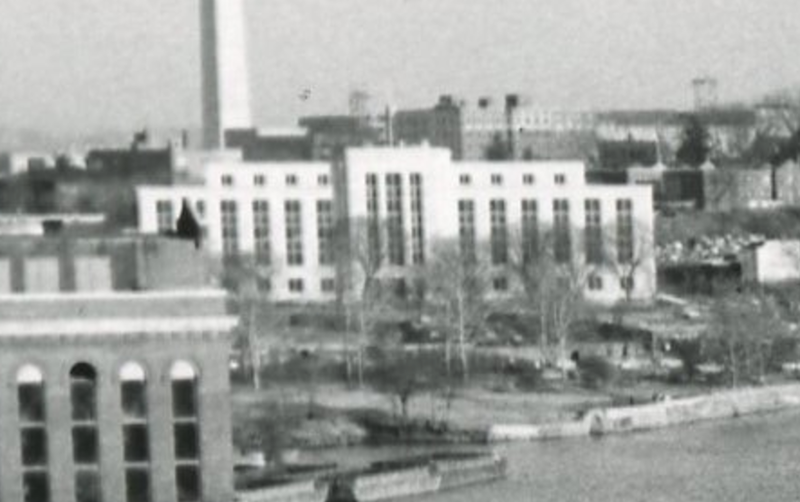 Also, that large white building that’s in front of the Washington Monument is what is now the Saudi embassy. It was built in 1959. So this photo is from between 1959 and 1961. The main reason it was smashed up is that it wasn’t in operation anymore. 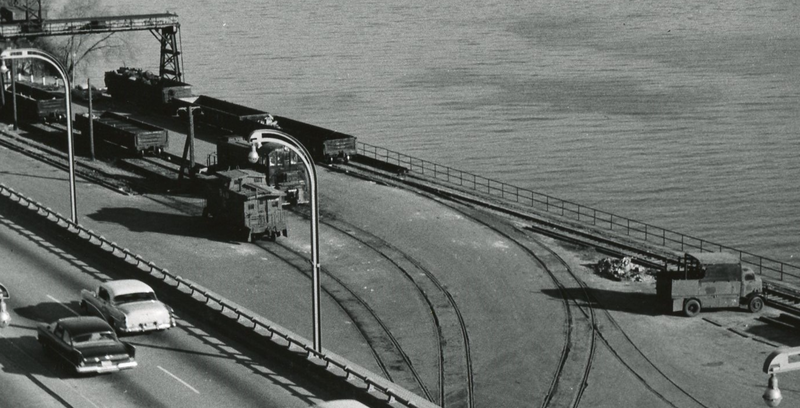 It stopped providing power for the streetcar system in 1933, and was decommissioned in 1944. It nonetheless sat an empty shell until it was demolished in 1968. What you’ll also notice is that you can actually see this building from Georgetown, which you can’t do anymore. That’s because the Watergate isn’t in the way yet. That wasn’t built until 1964. As also mentioned above, it was sadly demolished in 1961, which must have been just a couple years after the photo was taken.